I tend to make lists. Lists of vegan restaurants to try. Lists of places that have vegan options for when I need to meet up with omnifolk. Lists of places in Orange County for when I’m down that way. Lists, lists, lists. And Lemonade was on one of my lists because I once saw something online touting its vegan options. So I tried their Venice location on Abbot Kinney near Venice Blvd. And there are plenty of vegan options. 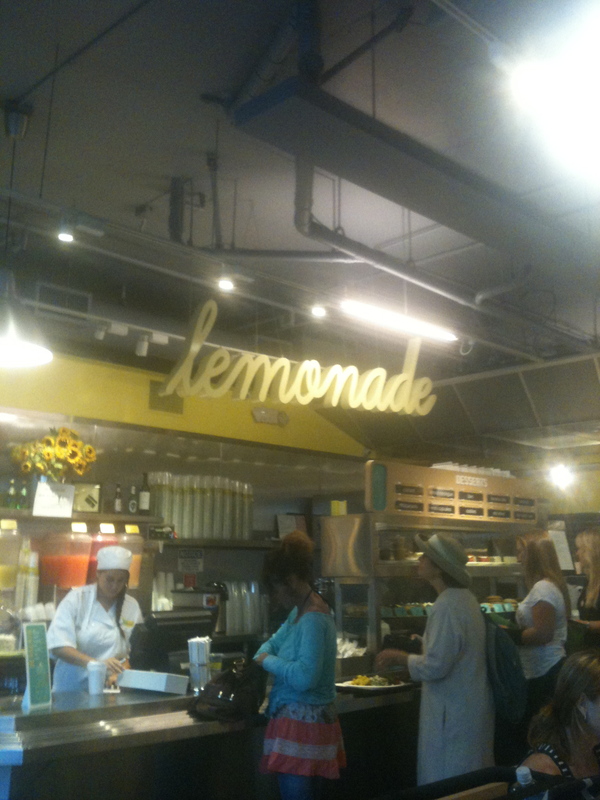 Lemonade is cafeteria style — you grab a tray and push your way along. And the first station is a display of probably twenty or more salads, and they all look pretty good, and even more impressive, there is a key code that tells you whether a given item is vegan or not. You can buy these salads in combos, and three of them cost $11.75. 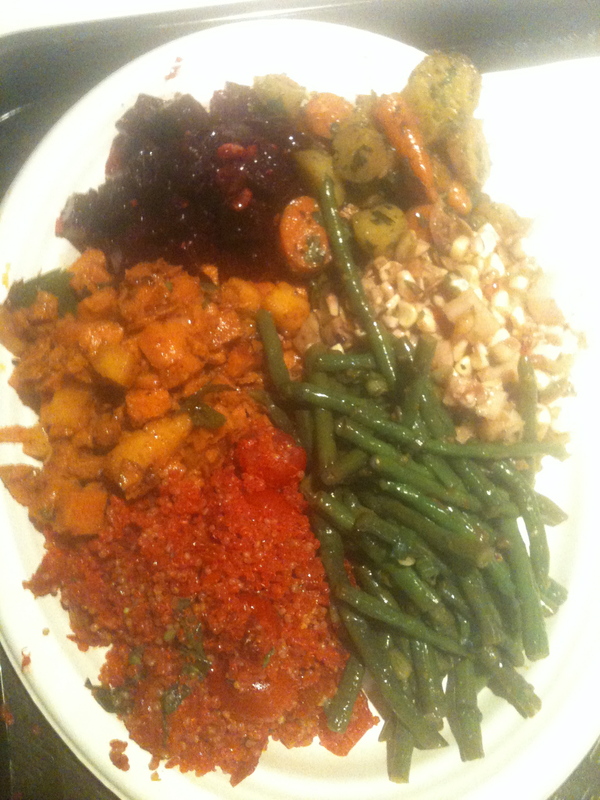 But even better, you are allowed to split an item, meaning I was able to try six different vegan salads for $11.75. But did they really have six different salads that were vegan? Yes, in fact they had eight! So you can imagine how happy I was as I picked six of these eight and watched them fill up my tray with a rainbowotic assortment of foodbeauty. 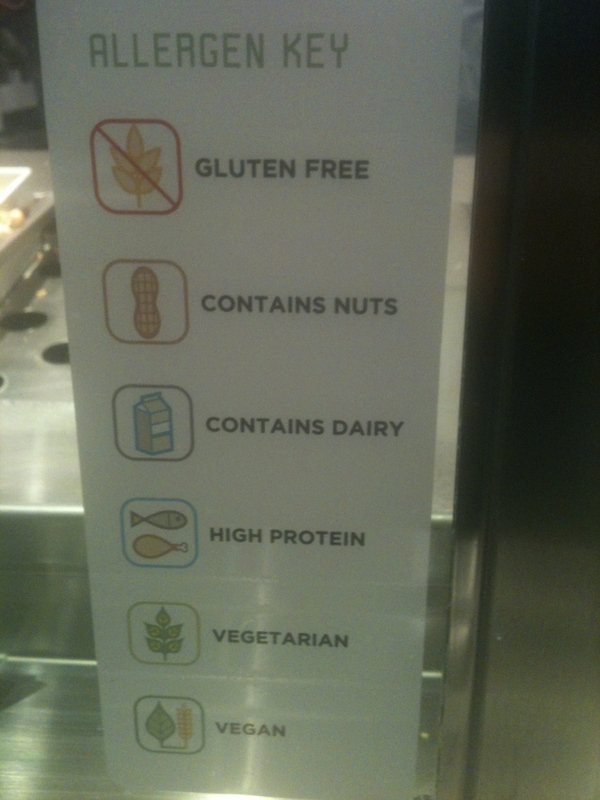 No bread though, because I was told that none of the four types of bread were vegan. Boo! But hey, who needs bread with this much salad, right? So that mitigates the boo a bit. And here are my salads. I’ll try to run them down in clockwise order starting with those beets at the top left. Those are roasted beets with pickled red onion and toasted hazelnuts. To the right of that is roasted heirloom carrots with crushed basil and herbs. The next salad is white corn, jicama, cashews, radicchio and ginger. Then comes Chinese long beans with pluots and plums. The red mass is red quinoa with cherry tomatoes, basil and sun-dried tomato dressing. And then finally, sweet potato with white peach and ancho chili vinaigrette. 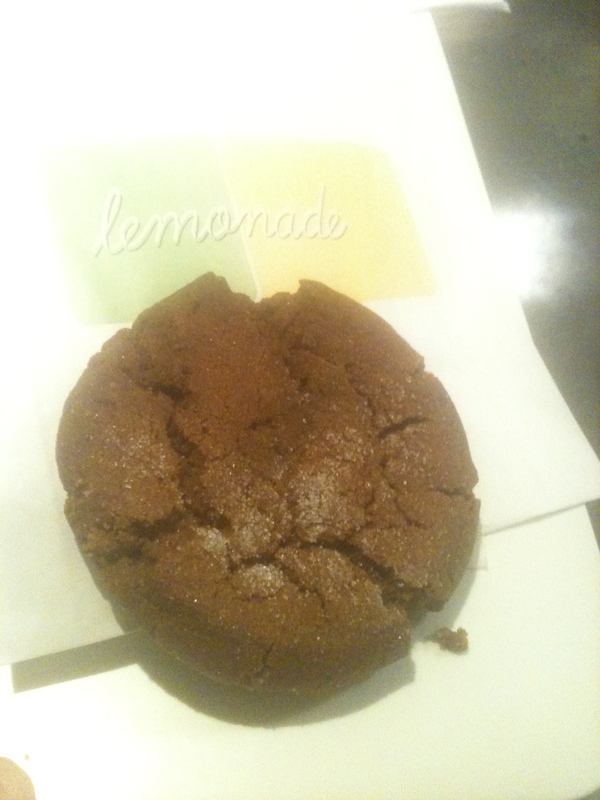 Ginger snap cookie sans snap. However, there was one silver lining. Or actually a ginger lining. Because the one vegan dessert they have out of what seems like a billion desserts is a ginger snap cookie and… it’s really tasty! In fact, it was by far the tastiest thing I ate there. Mind you, this ginger snap is a soft cookie, so the snap is non-existent, but it’s yums, as someone other than I would say. Such a shame that the salads weren’t tasty, although rainbowotic. Haha, love that term. You would think though that salads are hard to mess up, but I guess it can happen. Although totally unrelated, this post made me think of Dave’s Gourmet Korean for some reason. They make Korean sides like tempha (most popular), kimchi, seaweed salad and other pickled veggies. I’ve posted a couple of pics on Instagram. It’s super good if you like that stuff. You can find them at several farmers markets including Torrance, Silver Lake, West Hollywood and Brentwood. You can like them on Facebook. They don’t have bread though, but you might enjoy their potstickers, which they have every so often :).